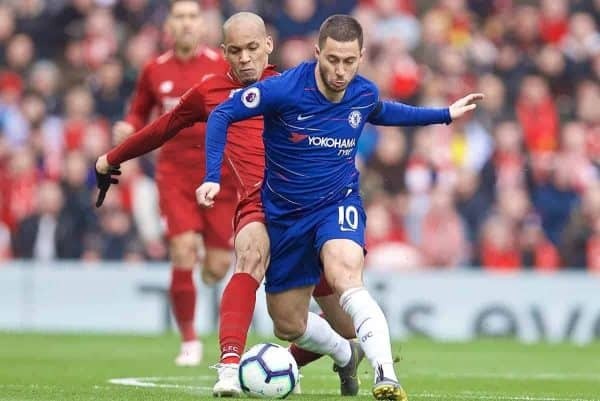 A fantastic Liverpool performance saw Chelsea beaten 2-0 at Anfield on Sunday, with star showings everywhere for the Reds. Alisson‘s presence in the Liverpool goal was always going to be vital at Anfield and he was very assured throughout. He saved low down to deny Eden Hazard in the first half and then made a big stop to thwart the same man after the interval. Generally untested on the whole, but so reliable. Alexander-Arnold was looking to add to his impressive haul of eight assists this season, and while he failed in that respect, he excelled in one of the biggest games of his career. His vision was on display a number of times, from whipped passes down the line to inch-perfect cross-field balls, and he defended well up against Willian and then Hazard when he switched to the left. One outrageous Cruyff turn and shot would have been a stunning moment had the ball found the net. Matip returned to the Liverpool side in place of Dejan Lovren and he produced a strong performance that sums up his recent vast improvements. He never panicked up against a speedy Chelsea attack and looked calm in possession, never allowing the magnitude of the occasion to get to him. 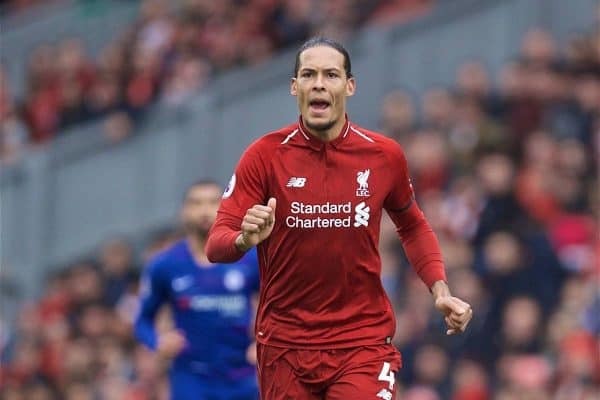 The Premier League‘s star man this season was again a reliable figure, barring one minor mix-up with Alisson. He got rid of the danger in route one fashion when required, led the defence expertly and never looked ruffled. For once, however, it could be argued that he was the less noticeable of Liverpool’s two centre-backs on the day. Robertson came back in after missing the Porto victory through suspension and he was typically industrious down the left flank. In truth, the Scot was never quite at his free-flowing attacking best, but it was hard to fault any facet of his game. 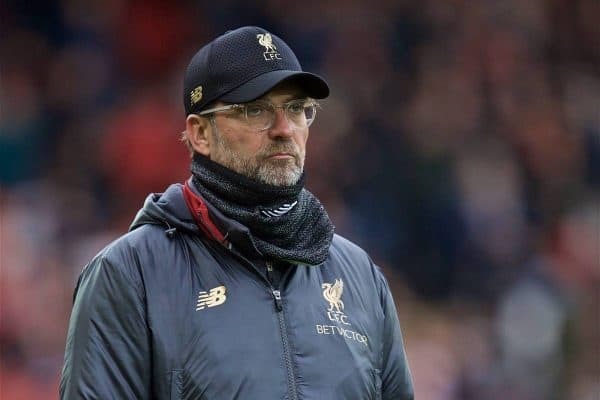 His second-half slip caused hearts to skip a bit, especially given the history of this fixture, but supporters were able to laugh it off, as did Jurgen Klopp. Preferred in the No.6 role, Fabinho was superb, particularly in the opening 45 minutes. The Brazilian was everywhere at times, biting into tackles and using the ball quickly and forcefully, showing exactly why he has become such a key man. Now one of the first names on the team-sheet and a massive player for years to come. Henderson has enjoyed a new lease of life in a No.8 role and he was deployed there again on Sunday. It was another huge display from the skipper, especially after the break, when he took the game by the scruff of the neck. His beautiful dinked cross allowed Sadio Mane to head home the opener and he was a man possessed before being replaced by James Milner, potentially with a knock. The standing ovation that followed was richly deserved. After two goals in as many matches, Keita kept his place in the middle of park and was an impressive figure. He attack-minded style saw him find dangerous pockets of space and he suddenly looks a far more confident player. It wasn’t a perfect display, with a lack of physicality sometimes a concern, but it was unquestionably another position afternoon. 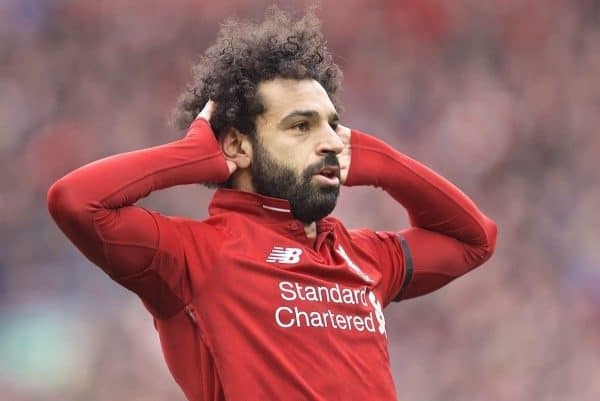 Salah was looking to be a key figure against his former club, particularly following the antics of some of the Chelsea supporters this week. It’s fair to say he delivered! 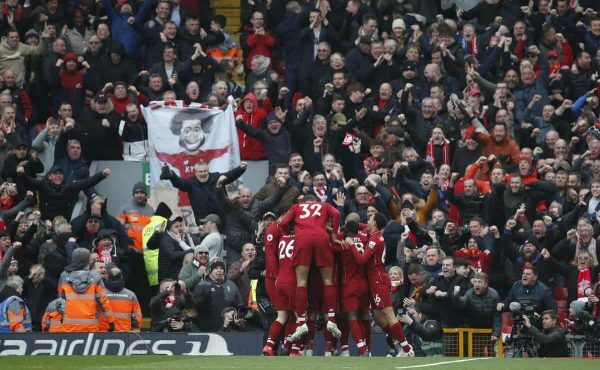 Liverpool’s No.11 always looked like making things happen and his outrageous goal, Liverpool’s second of the day, will go down as one of the great Kop-end strikes. It was an incredible moment, highlighting what a special footballer Salah is, and it could look even more pivotal come mid-May. Mane has been comfortably Liverpool’s best, most consistent attacking player in 2019 and he was again excellent on Sunday. The Senegalese gave Cesar Azpilicueta a torrid time, forcing the Blues defender to pick up a booking, and he was a constant menace down the left. Mane made it 1-0 with a well-taken header and his unpredictability was a joy to watch. Leading the line as usual, Firmino was at his unique best. The Brazilian wasn’t totally at it in the first half, with the odd touch not quite coming off, but after the break he was sensational. Firmino’s work rate was something to behold, as was his ability to keep hold of the ball and pick the right pass. On what was Klopp’s 200th game in charge, the most consistent performer of his tenure stood tall, showing what a world class talent he is. The Dutchman brought much-needed energy and intelligence, keeping the midfield solid and providing box-to-box quality. Milner was less noticeable than Wijnaldum, but did his job well. Only on the pitch for a matter of minutes. Nice to see him back. Subs not used: Mignolet, Lovren, Sturridge, Origi. Klopp brought up his double century of matches as Reds boss and he got a wonderful performance out of his side. There could be few qualms with the starting lineup, and after a relatively measured first half, Liverpool came alive. 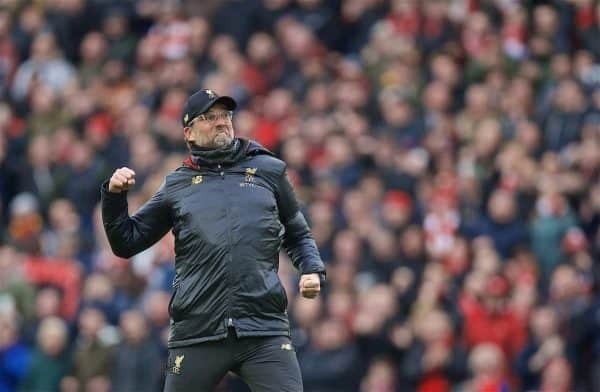 So much of this victory was about the winning mentality Klopp has instilled in his players – Reds teams of the past would have wilted. What a man, what a manager.